Dental implants are small, titanium fixtures that are placed in the jaw bone, essentially taking the place of missing tooth roots. 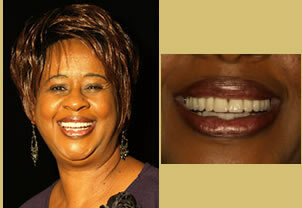 Generally there are two classifications of dental implants, standard and mini. To these 'artificial roots' can be attached single teeth, several teeth, or an entire arch of teeth. One of the primary benefits of utilizing implants to replace missing teeth in a partially edentulous arch is that implant-supported teeth are fixed, yet freestanding. This means that your sound natural teeth do not have to be 'cut down' and crowned to be used as bridge abutments. They also work very well to help retain, anchor, or support loose dentures. 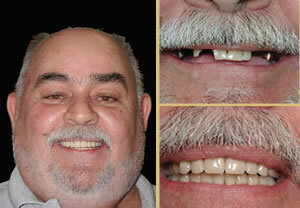 Dental implants can literally change a denture wearer's life. Dr. Pratt, your Atlanta, Texas dentist, first became interested in dental implants during his senior year of dental school. 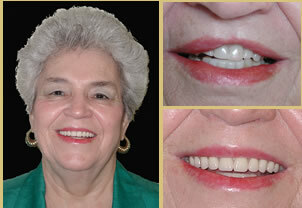 After examining a patient who had a non-removable bridge retained by implants placed by a faculty member, he was intrigued; here was a woman quite satisfied with a prosthetic appliance that, for the last three years, Dr. Pratt had been told did not exist! Recognizing the implications and potential benefits to patients, he immediately decided to make dental implants a part of his future career and everyday practice. In the mid 1980's, four implant companies began marketing their products and teaching courses to dentists across the United States. Dr. Pratt took as many of these courses as he could, and in 1988 he placed his first implants for a patient. Since then he has made it a priority to keep up with the growing field of implant dentistry. To date he has over 700 hours of implant-related continuing education, and his commitment to the practice has taken him to several World Symposiums on Dental Implants in Europe. He has placed and restored hundreds of dental implants and several of his cases have been published in national dental publications. 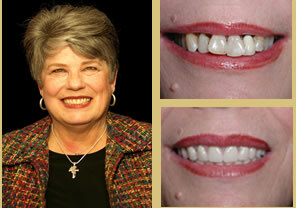 All phases of implant dentistry are offered at Atlanta General & Implant Dentistry. Unless you were referred by another doctor for implant placement only, the implant surgery or placement and the final restoration are all conveniently performed in one office by one doctor.